Classic landscapes and charming villages are what make the Cotwolds special. Dip into this most enticing of English regions for traditional hospitality at countryside inns and some of England's finest cooking at a host of new restaurants and upmarket country hotels. Take in the Shakespearean beauty of Stratford-upon-Avon and the stunning architectural heritage of Oxford's colleges, or hike the Cotswolds' trails, marvel at beautiful stately homes and gardens or explore the local gastronomic scene. Discover this exquisite region of England with the most incisive and entertaining guidebook on the market. 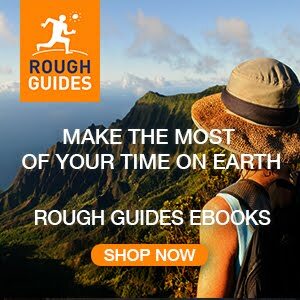 With our trademark blend of witty and informed writing, this Rough Guide shows you the best of the best. - Full-colour chapter maps throughout - to explore Oxford's honey-coloured college buildings or discover the Shakespearean sights of Stratford-upon-Avon without needing to get online. 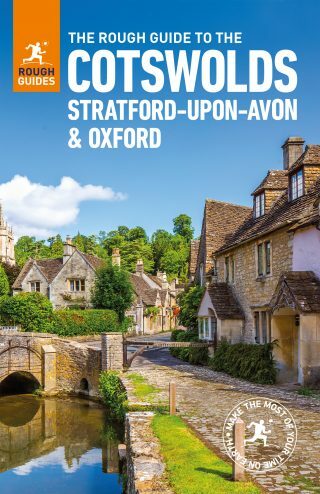 - Things not to miss - Rough Guides' rundown of the best sights and experiences in the Cotswolds, Stratford-upon-Avon and Oxford. - Detailed coverage - this travel guide has in-depth practical advice for every step of the way. Areas covered include: Cheltenham; Gloucester; Stroud; Cirencester; Chipping Campden; Broadway; the Vale of Evesham; Stratford-upon-Avon; Burford; Banbury; Oxford. Attractions include: Blenheim Palace; Gloucester Cathedral; Kelmscott Manor; Westonbirt Arboretum; Cotswold Farm Park; Rollright Stones; Sudeley Castle; Compton Verney. - Basics - essential pre-departure practical information including getting there, local transport, accommodation, food and drink, festivals and events, sports and outdoor activities, shopping and more. - Background information - a Contexts chapter devoted to history and recommended books.